The underwater world is full of families. Schools of fish, pods of dolphins and swarms of eels swim together in perfect harmony. 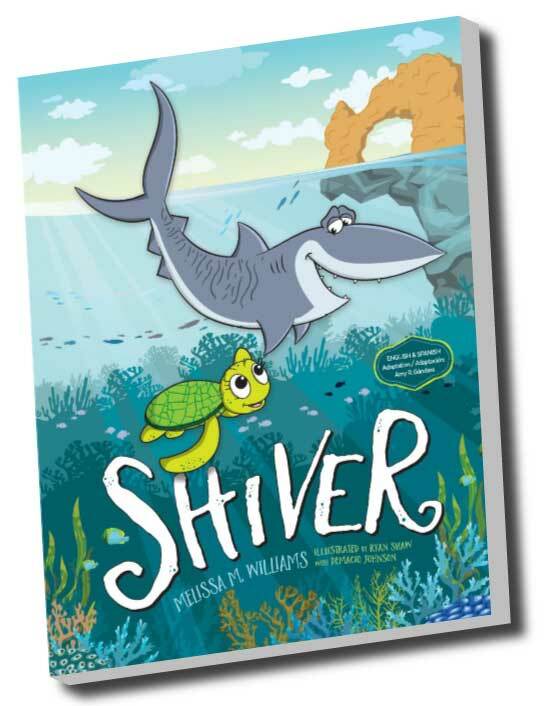 Trevor dreams of belonging to a family … but he’s a SHARK! No one wants to swim with a tiger shark. But even a shark needs a group of friends. Although Trevor is constantly judged by what he looks like on the outside, he never gives up hope of finding a family. His big heart and caring attitude leads him to form the SHIVER of his dreams. Through his experiences and an encounter with a curious sea turtle, Trevor realizes that your family is more than who brought you into the world and that friendships can last a lifetime.